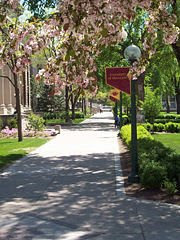 The University of Minnesota, Twin Cities (U of M or The U) is the oldest and largest part of the University of Minnesota system. 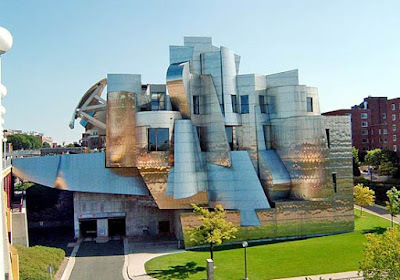 It is located on two campuses in the twin cities of Minneapolis and St. Paul, Minnesota; the campuses are linked through a dedicated transitway with free bus service. 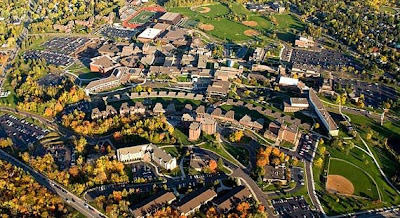 Its student body is the fourth largest in the United States according to Fall 2007 statistics, with 50,880 students. The mighty Mississippi River winds through the Twin Cities' home of the University of Minnesota. Founded in 1851, the University has a presence throughout the state with its five campuses and numerous research and outreach centers. 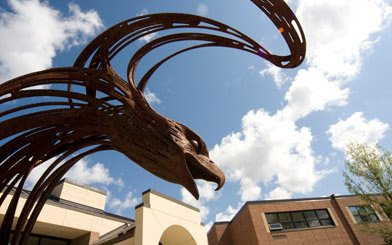 From the Crookston campus on the edge of the northern prairie to the newest campus, Rochester, less than 50 miles from the state's southern border, the University serves Minnesota’s families and businesses, while contributing knowledge and innovations to help build a healthier, sustainable world. With a graduate school established in 1905, the University has helped lead the nation in scholarship and higher learning. Life-changing work, like the recent creation of a beating heart and stem cell transplant to cure recessive dystrophic epidermolysis bullosa (RDEB), a once-fatal skin disease, shows the caliber of the University's research. Ranked among the top public research universities in the world, the University of Minnesota is truly driven to discover, and that goal reaches into every college on every campus. The University was established as a land-grant college, meaning the federal government gave it land to use or sell to provide an education for students of all incomes. Being a land-grant institution meant you also had a commitment to your state's agriculture. Today, through myriad scholarships, the University helps its students afford tuition, housing, and books, and agriculture is still a focus of its teaching, research, and outreach. As the U grew, so did the city around it, and the University has adapted its historic land-grant mission to fit its surroundings and has dedicated itself, through programs like the University Northside Partnership, to resolving complex contemporary issues in the urban age. The University of Minnesota was founded as a preparatory school in 1851, seven years before the territory of Minnesota became a state. Financial problems forced the school to close during the Civil War, but with the help of Minneapolis entrepreneur John Sargent Pillsbury, it reopened in1867. Known as the father of the University, Pillsbury, who was a University regent, state senator, and governor, used his influence to establish the school as the official recipient of public support from the Morrill Land-Grant Act, designating it as Minnesota's land-grant university. William Watts Folwell was inaugurated as the first president of the University on December 22, 1869. In 1873, two students received the first bachelor of arts degrees. In 1888, the first doctor of philosophy degree was awarded. The Duluth campus joined the University in 1947; the Morris campus opened in 1960, and the Crookston campus in 1966. The University of Minnesota has recently made an explicit goal to become one of the top three public research universities in the world within a decade. In 2007 Times Higher Education (previously the Times Higher Education Supplement) ranked the University of Minnesota at 142 (with Universität Tübingen) in its ranking of the World's Top 200 Universities , up from 172 in 2006. 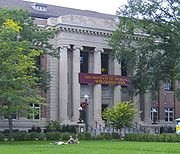 In 2007, the Shanghai Jiao Tong University ranked the University of Minnesota at 33 on the list of Academic Rankings of World Universities.